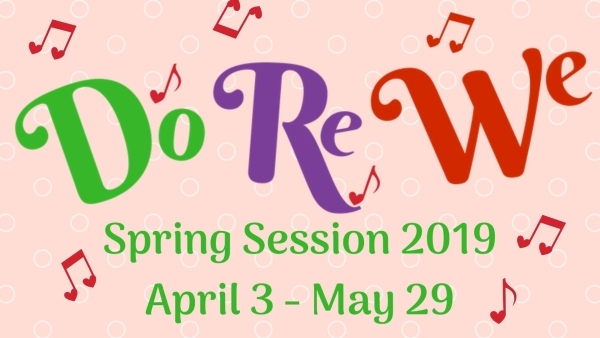 Join Do-Re-We for 8 weeks of singing, playing, and dancing along with the “Grandfriends” at Buckingham South! $120 for the 8-week session. One make-up class is offered for free (May 29). Classes are @ Buckingham South retirement & assisted living facility, 5450 Abercorn St., Savannah. Residents of Buckingham South, lovingly referred to as “Grandfriends,” participate in these classes along with parents and children. This entry was posted on Monday, February 11th, 2019 at 8:00 am	and is filed under Classes/Programs, Do Re We, Mommy & Me, Music, Pre pre-schooler activities, Preparing for Preschool, Rainy day activities. You can follow any responses to this entry through the RSS 2.0 feed. Both comments and pings are currently closed.